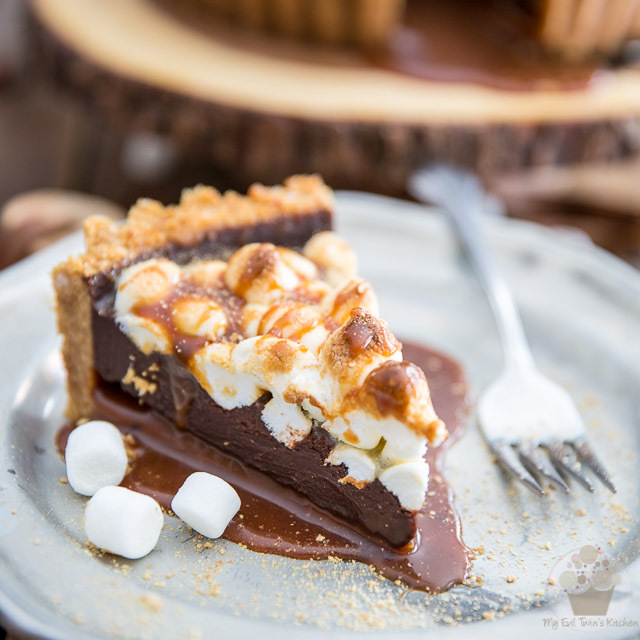 Outrageously decadent, this Salted Caramel S’mores Pie is more than just a pie; it’s a sticky, messy, gooey but sweet experience that demands to be lived! 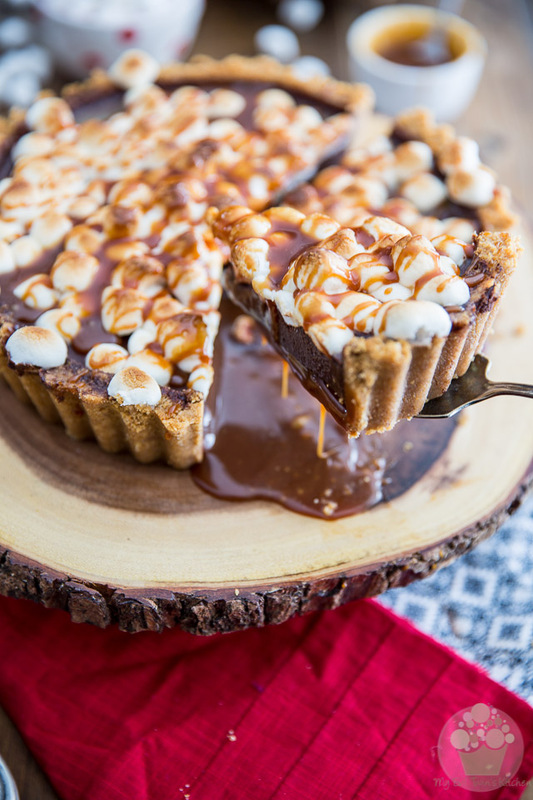 This Salted Caramel S’mores Pie… no, let me rephrase that. 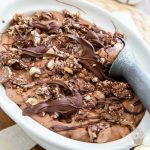 This ooey, sticky, gooey chocolate caramel mess of a pie was created especially for a special someone who just recently walked into my life. So yeah, there’s actually a story behind it. Got an hour or two? I’ll tell you all about it! You see, I had been having issues with my heating system for a fairly long time, but had always been extremely reluctant at the idea of spending my hard-earned money on something so unbelievably useless and boring as fixing my ventilation system… But things recently took a turn for the worst, leaving me with no other choice than to finally bite the bullet and have some professional come take a look at it. I started making a few phone calls to different companies, and a few days later, this guy showed up at my door to try and identify the problem. He spent over 3 hours analyzing everything and left here without having been able to diagnose the root of the problem, so he promised to keep researching on his own time and that he would return later the following week to finish the job and fix the problem for good. That got me laughing so hard! The conversation then moved on to S’mores, and how I’d never had a proper one in my life, and how this was a real shame and how something should definitely be done to fix that situation too, on top of my heating system issues. 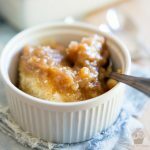 A few days later, he was back at my house and this time again, ended up spending a whole bunch of hours… So much so, I even made him a couple of cups of coffee and offered him one of the Apricot Bulgur Muffins I’d just recently baked. It was well into the afternoon when he left, having finally fixed the problem. I can’t tell for sure, but I *think* he kind of took his sweet time on purpose, that day. We even ended up hitting the store to shop for parts together! Not exactly what I would call your typical repair service call. Shortly after he left here, he texted me again and we talked for a while, and I eventually told him that I felt bad for all the time he’d spent here working on my furnace for a mere handful of dollars (he’d charged me a fixed fee and refused to take a penny more) and that I’d love to make it up to him by making dinner for him sometime, which he accepted promptly and with great pleasure. 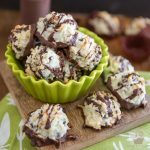 I decided that I would make him my own personal favorite dish in the whole wide world, Creamy Blue Cheese Tortellini, and that for dessert, I would make something that had to do with S’mores, in honor of the conversation we’d had the week before. 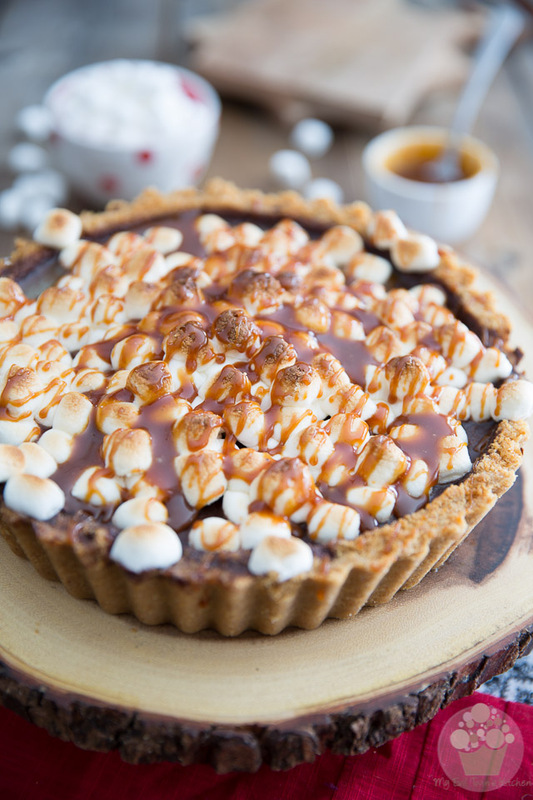 And so this Salted Caramel S’mores Pie slowly started taking shape in my devilish mind. Between the time I extended the invitation to him and the time he actually showed up at my door for that dinner, we’d exchanged close to 5000 text messages. 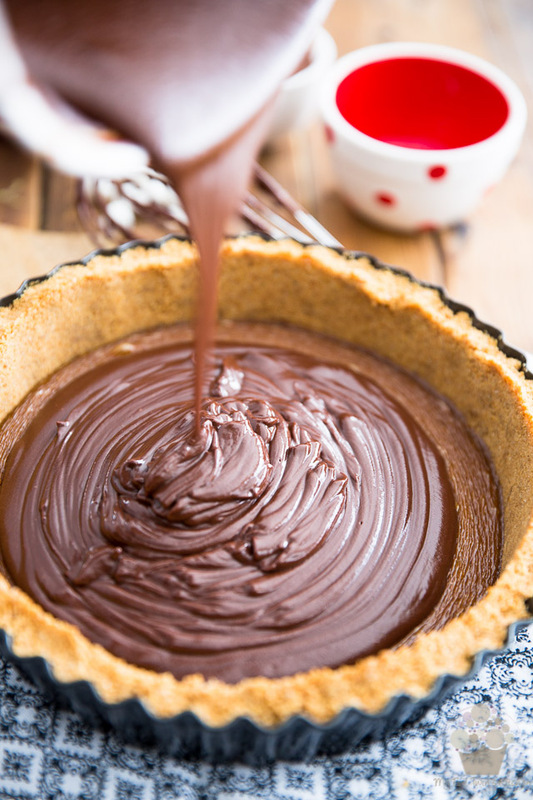 We were also texting while I was making his pie… so I erm, ended up having a little bit of an oopsie while making my ganache — a creamy chocolate preparation I’ve done so many times, I usually can do it with my eyes closed! You know how it goes though, right? It’s when you most need things to go perfectly well that they end up not going so great. I almost didn’t share the recipe because of that little mishap, but in the end, I simply redid the ganache. The pie turned out too amazingly good, too crazy decadent, too insanely delicious for me to keep the recipe to myself, and the story behind its creation. Let me extend this little warning, though. In case the pictures don’t say it loudly and clearly enough, this pie is SERIOUSLY rich and sugary. It definitely IS NOT for the faint at heart. I have NEVER EVER in my life tasted anything so incredibly sweet. Trust me when I say that a little goes a long way. My friend and I ended up sharing a slice between the 2 of us, and we’re both proud owners of well seasoned iron palates when it comes to eating sweets! 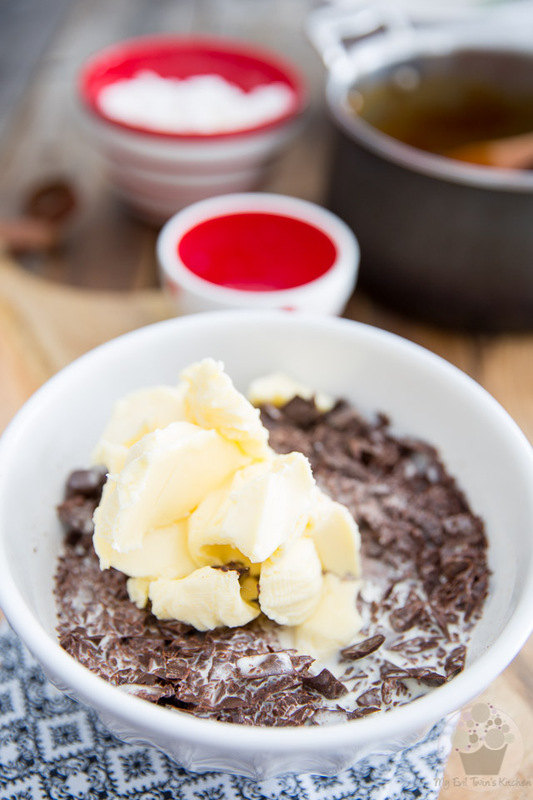 Keep that in mind, should you decide to replicate this messy, sticky dessert at home! The first thing you’ll want to be making is a batch of salted caramel and then let it cool for at least 2 hours at room temperature, or refrigerate for about 30 minutes, until it becomes thick and sticky. You could even make it the previous day or up to a couple of days ahead of time, if you wanted to. 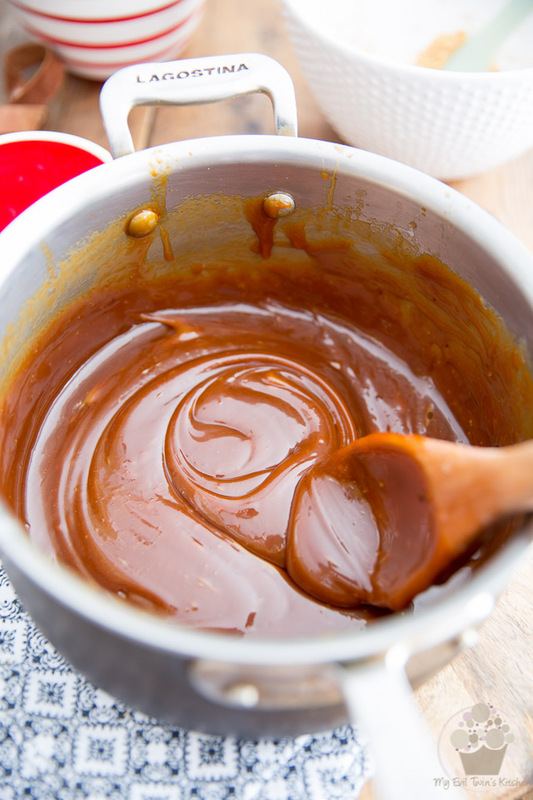 When your caramel is good and ready to go, preheat your oven to 350°F. Then, combine the graham cracker crumbs, melted butter, granulated sugar and in a large mixing bowl. 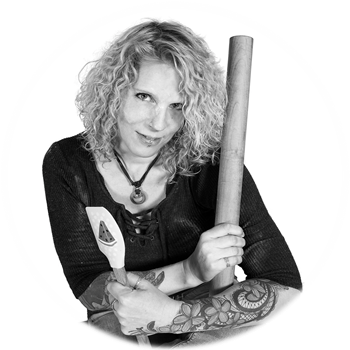 …and press firmly at the bottom and up the side of a 9½” removable bottom deep pie dish. As usual, I like to use my trusty flat bottomed glass to do this. It gets my crusts perfectly flat and even every single time. Bake the crust in the oven for 7 minutes and then set it aside to cool. 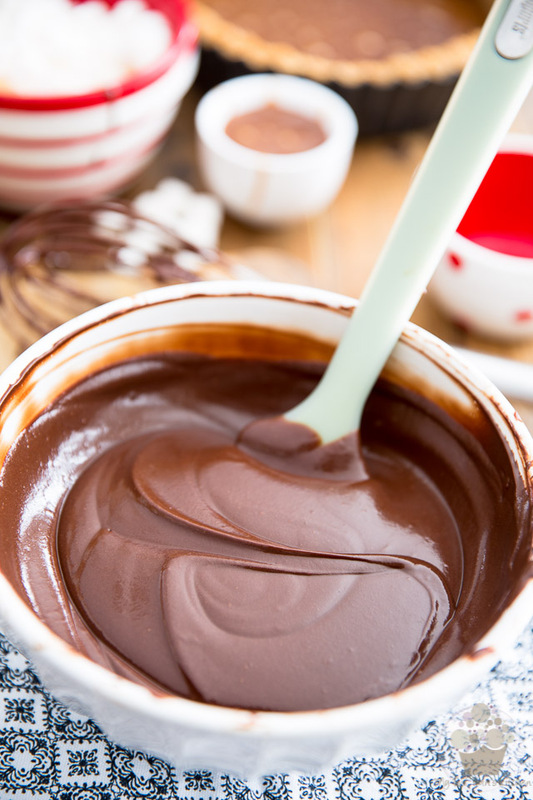 Meanwhile, make the chocolate ganache: combine the chopped chocolate, cream, butter and salt in a medium-sized bowl. 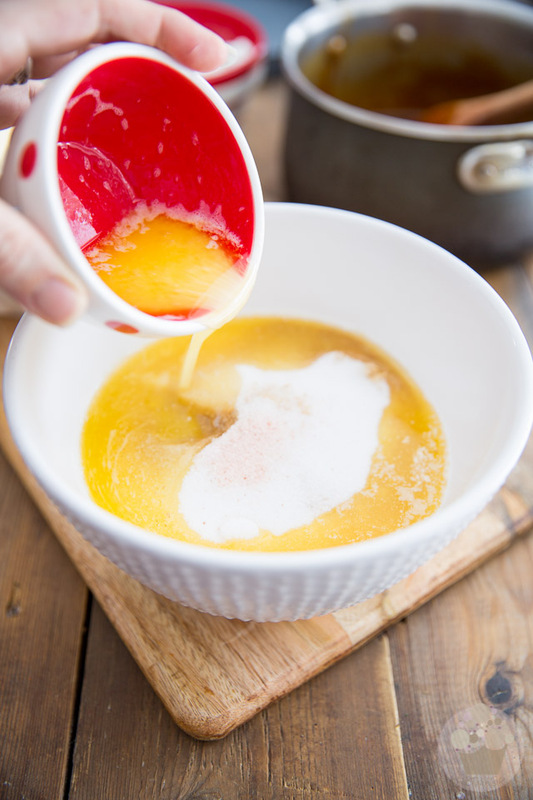 Cook this in the microwave for 1 minute and then allow the mixture to rest for 1 full minute and then stir delicately for 1 full minute, until smooth and silky. If the chocolate isn’t completely melted by then, which it probably will not be, repeat the process again, but for no longer than 20 seconds at a time. This is where things had initially gotten a little bit awry for me… My mind sort of got distracted for some reason and I’d ended up putting my ganache in the microwave for a full minute the second time it went in, instead of the 20 seconds it should’ve went in for. Soooo, my ganache ended up a little too runny for my taste. Now grab your salted caramel and pour it over the reserved crust. Make sure that you save about 1/4 cup though. 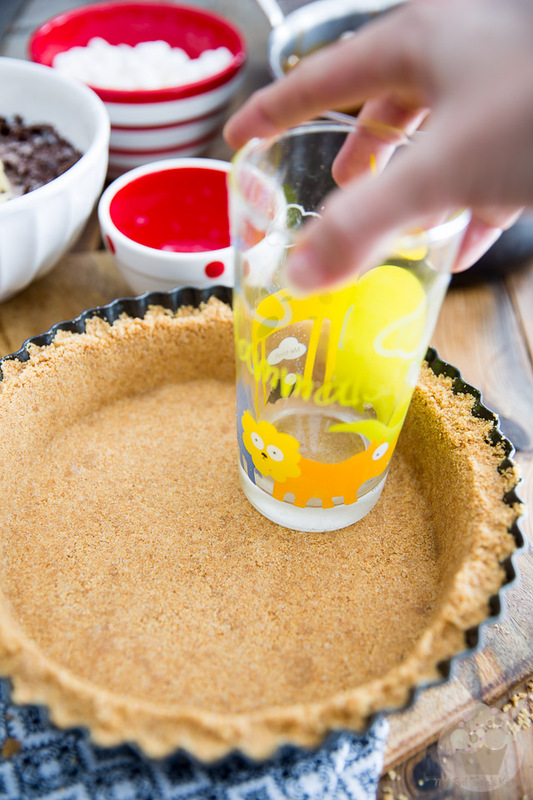 We’ll use it to drizzle all over the pie later. … and spread the ganache evenly, all the way to the edge, if necessary. If you’ve slightly overdone the microwave thing and find that your ganache is a little bit on the liquid side, send it to the fridge or freezer to set for a bit. This will prevent the marshmallows from sinking into the ganache, and also the ganache from melting when the pie goes into the oven later. 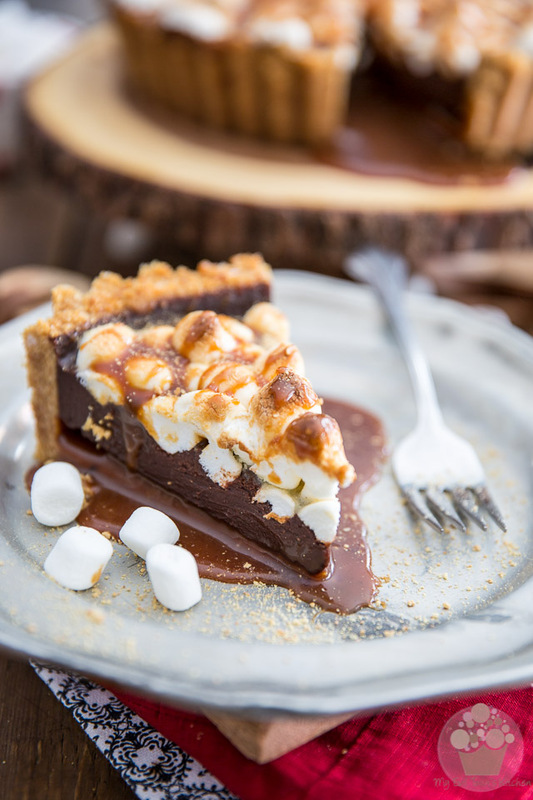 Next, set your oven to broil, place a rack at the very top position of the oven and scatter the mini marshmallows across the top of the pie. 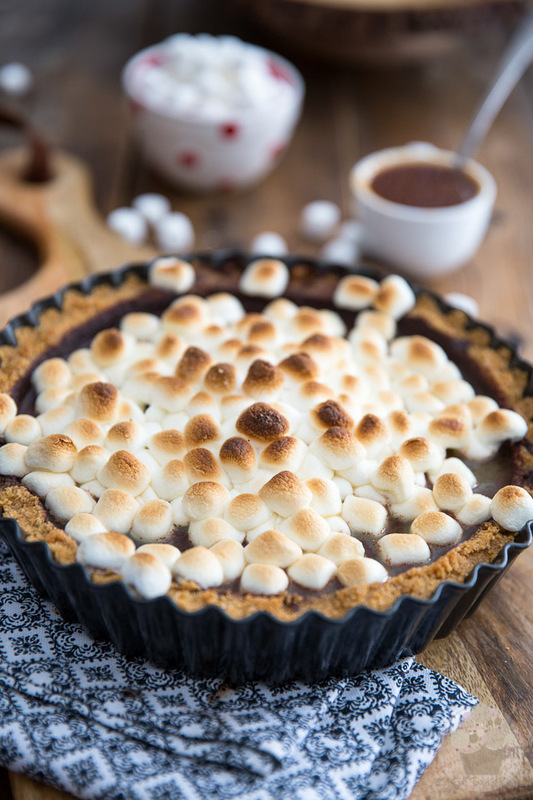 Place your pie directly under the broiler until the marshmallows become poofy and brown, about 2 minutes. Keep a really close eye on things as you wouldn’t want your marshmallows to burn or your ganache to melt. Remove the pie from the oven and refrigerate until completely set, at least 4 hours. 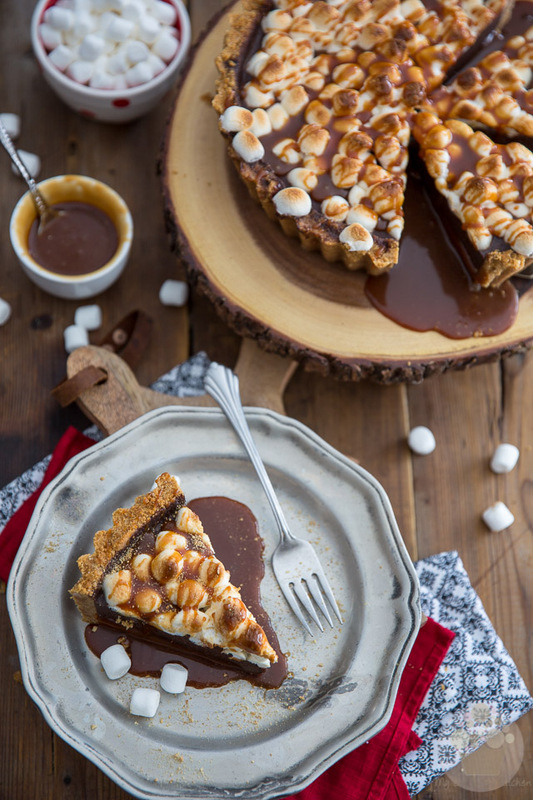 At the moment of serving, drizzle the pie with the salted caramel you reserved earlier, just to make it that much more sticky and sweet! And now look at what happens when you slice into this baby! All that beautiful caramel comes oozing out in a ooey, gooey, sticky mess. 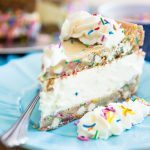 Let me tell you one thing, though… messy has never tasted so good! Start by making the salted caramel and let it cool for at least 2 hours at room temperature, or refrigerate for about 30 minutes. 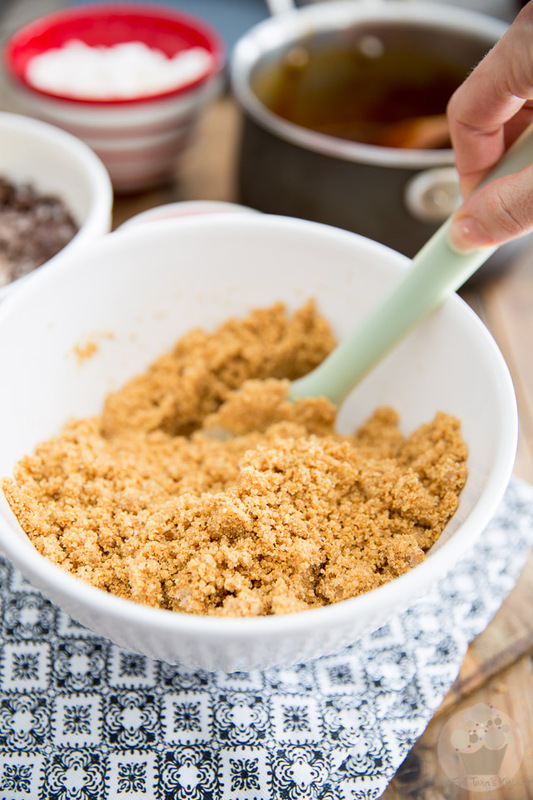 Combine the graham cracker crumbs, melted butter, granulated sugar and in a large mixing bowl. Mix until well combined and press firmly at the bottom and up the side of a 9½" removable bottom deep pie dish. Bake for 7 minutes and set aside to cool. Cook in the microwave for 1 minute, allow the mixture to rest for 1 full minute and then stir delicately for 1 full minute, until smooth and silky. If the chocolate isn't completely melted by then, repeat the process again, as many times as necessary, but for no longer than 20 seconds at a time. 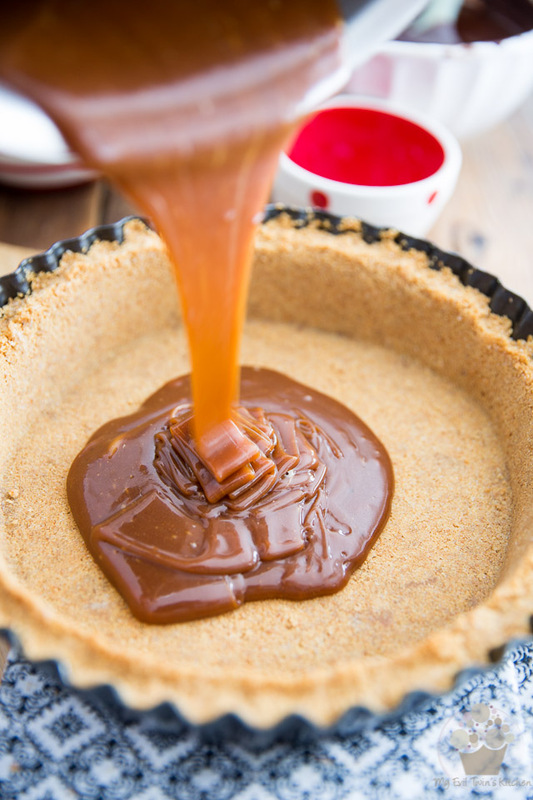 Pour the salted caramel over the reserved crust; save about 1/4 cup to drizzle over the pie later. 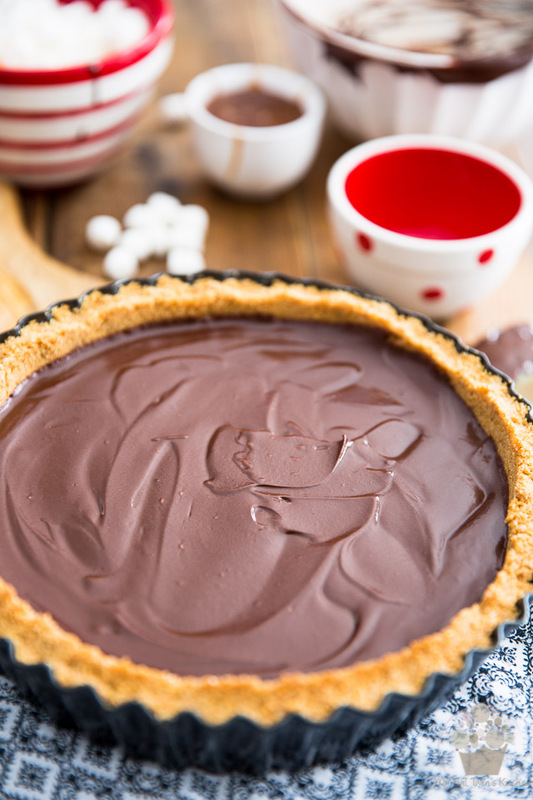 Pour the chocolate ganache over the salted caramel and place the pie in the freezer for about 30 minutes, until top is set. Set your oven to broil and place a rack at the very top position. 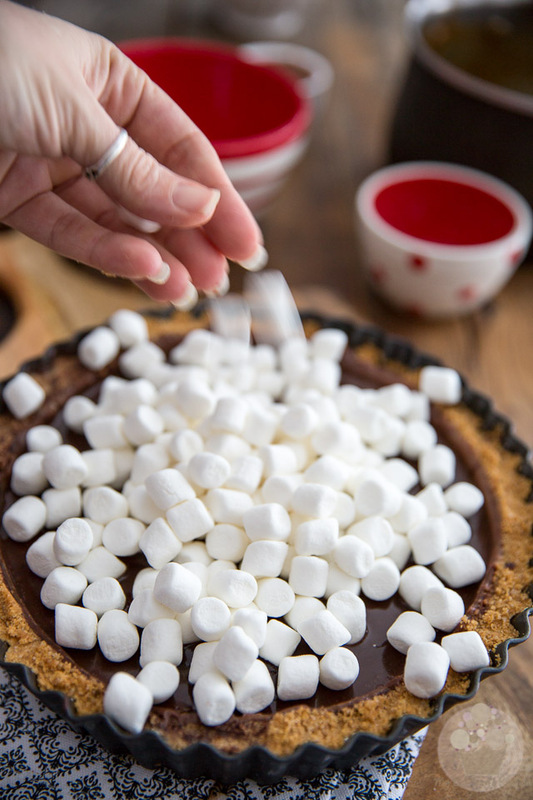 Scatter the mini marshmallows across the top of the pie and then place it under the broiler until the marshmallows become poofy and brown, about 2 minutes. Keep a really close eye on things as you wouldn't want your marshmallows to burn or your ganache to melt. 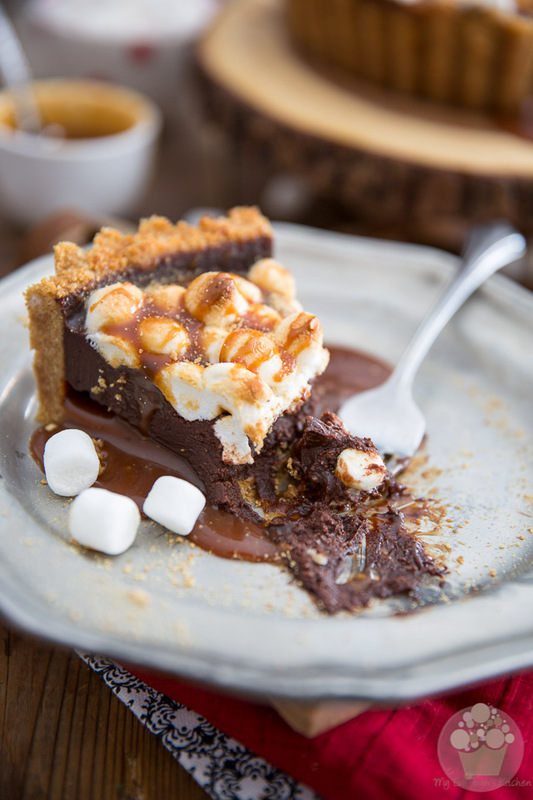 Take the pie out of the fridge at least 1 hour before serving; drizzle with reserved salted caramel and serve. A great story..so cute..hope you keep the friendship up.. Happy Holidays to you too, lots of love to you and yours. WOW!! What an indulgent pie for sure. My husband would really like this. Funny story! Not sure I have ever commented on your evil blog. HA! !